Wagner’s works became rapidly famous and allowed the transcriptions for the most different instruments, among which we remember the ones for piano by Franz Liszt. Soon after his death, a young English organ player, known as Edwin Henry Lemare, became so passionate about Wagner, that he realized a series of organ transcriptions, considered as the most inspired of all time, both for the perfect performance of the difficult writing by the German composer and for the extraordinary sounding richness, able to rival with a great orchestra. 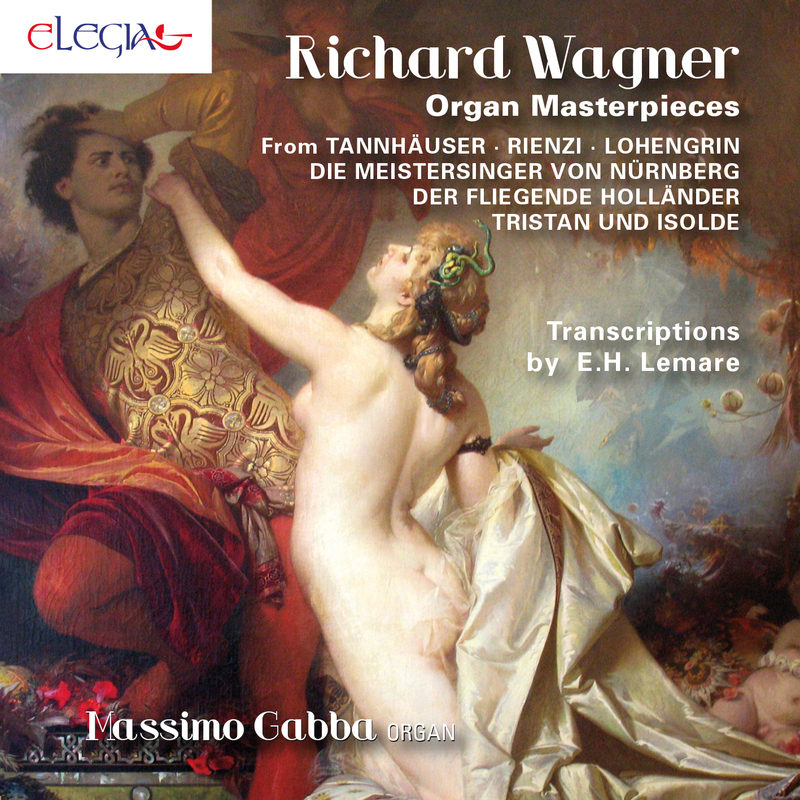 This CD presents five transcriptions by Lemare, from the ouverture of Der fliegende Holländer to the pilgrims choir of Tannhäuser, thanks to Massimo Gabba’s performance at the keyboard of the great Mascioni organ of San Giovanni Evangelista (Alessandria), an instrument that has huge technical and expressive resources, perfect for this repertoire. The program is completed by other brilliant transcriptions by William Joseph Westbrook, Herbert Brewer and Théodore Dubois. A compelling vortex of organ emotions! Recorded in Chiesa Parrocchiale San Giovanni Evangelista, Alessandria, on December, 2017.